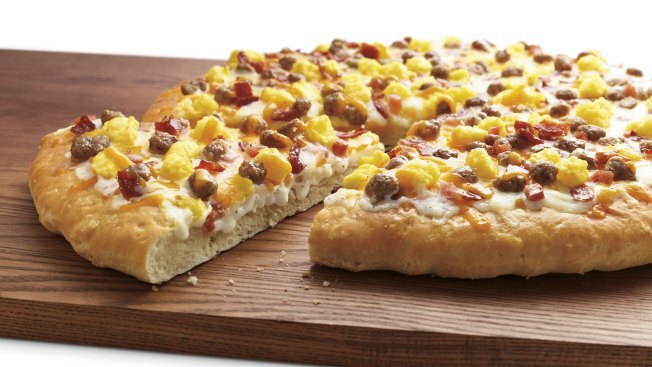 7-Eleven is offering a breakfast pizza. The chain announced the creation Tuesday. It has a biscuit crust topped with bacon, sausage, ham, scrambled eggs, cheese and cream gravy. 7-Eleven vice president Nancy Smith bills it as "a hearty option for customers craving a warm breakfast." The Irving-based company says hot pizza has become one of its biggest ready-to-eat sellers, and mornings are the busiest time of day in its stores. Whole breakfast pizzas cost $5.55.